To the surprise of no one that knows me, I have now definitively ruled out science or engineering as possible areas of interest for my post-retirement life. 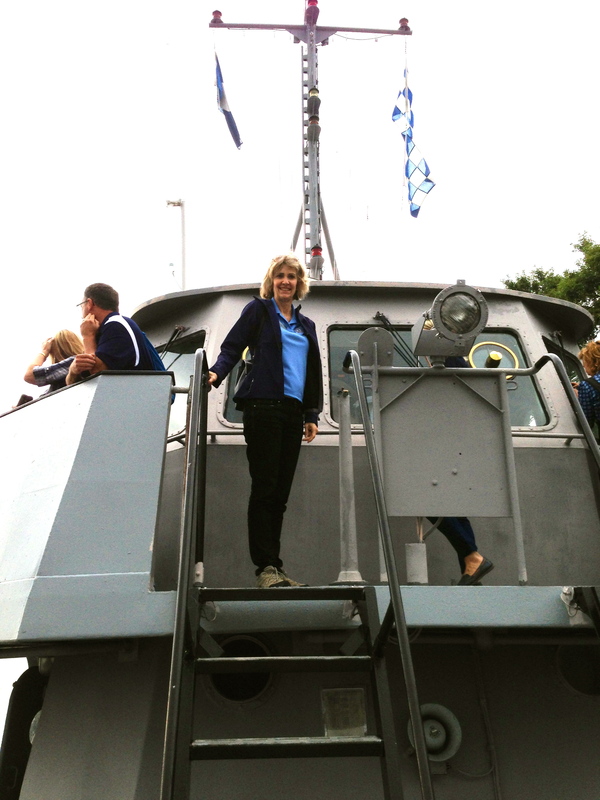 This past weekend my husband and I were privileged to visit the US Naval Academy in Annapolis for 2/C Parents Weekend. Our son is a Midshipman Second Class (2/C) (or Junior) and an Ocean Engineering major. This was the one time during his four years at USNA where we were allowed to tag along to classes and visit his dorm room. I say “privileged” because we are always impressed by our visits to this beautiful campus and by the young men and women who inhabit it. The start of 2/C year is a significant time for the Midshipmen; it is when they formally make a 5-year military commitment in exchange for their 4-year education. Up until 2/C year, they can elect to leave USNA and incur no financial or military commitment. The young people who choose to incur this obligation, particularly in time of war, humble me. And even though it scares the daylights out of me, I am proud of my son’s decision to make this commitment. As a mom, I find it wonderful when my child surpasses me. My son long ago passed me in height, and I would argue in personality and looks as well. It was an extraordinary realization that my son grew up to be braver than me. This weekend demonstrated that he has also left me in the dust in the brains department. Friday began with Navigation class. As my exposure to navigation has been limited to Google Maps and Garmin, I was surprised to learn that we would be boarding a Yard Patrol (YP) boat. Would there be skirmishes or pirate drills I wondered? Onboard, I opted to position myself on the bridge, witnessing a scene that was part Gilligan’s island and part Star Trek. The Mids took their positions while the Navy LT and the Chief of the Boat alternatively coached and barked orders at the Mids. Our son was busily plotting positions on a map. He seemed to know what he was doing and kept his cool under pressure and the Chief wasn’t yelling at him much. And that’s about as much as I can say about what was going on. There were no scuffles with enemies and we came back to port safely. The next class was ‘Materials” where the Mids worked a lab that required them to drop different metals in liquids and perform measurements. I wasn’t completely clear what the metals were and what they were measuring, but I can happily report no explosions or injuries. 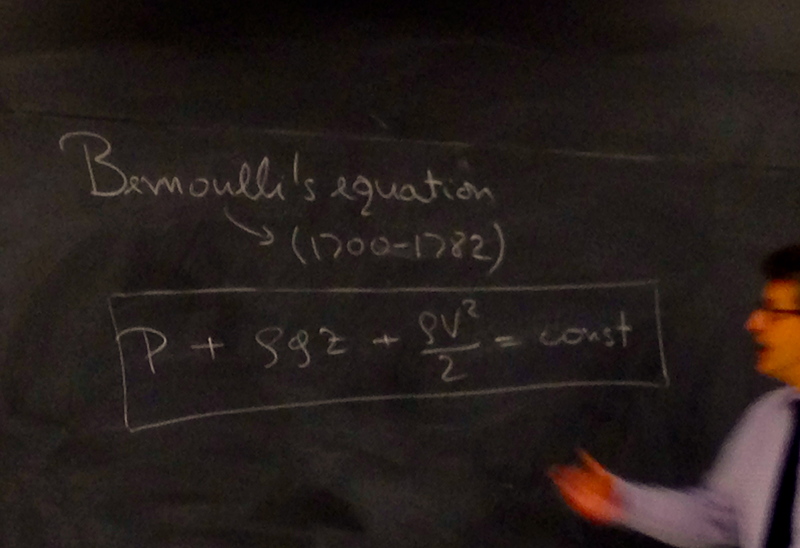 Following Materials we went to “Fluid Dynamics” and there the Croatian-born professor gave a mad scientist cadenced lecture on the Bernoulli Equation. That’s when it became clear I was in over my head. Between the warm room and the diagrams on the chalkboard, I nodded off several times. I noticed my son’s head bobbing and I feared he was equally lost. As far as I could tell, this was an overly complicated method to measure water pressure coming out of a hose. But why couldn’t one just turn on the hose? Don’t they have computer chips that measure these things? After lunch, with my head ready to explode , I inquired of my son whether he was also having trouble following the lecture, to which he replied that he was simply “bored” because it was such “simple” subject matter. After lunch in King Hall, we headed off to “Electrical Engineering” and were treated to a lecture and problem-solving on how to determine voltage, followed by another lab. The cool diagrams the professor projected onto the screen looked like the math problems in the back of the Southwest Airlines magazine (like Sudoku, that I almost always skip), where everything miraculously adds up, whether you go down, up or diagonal. It was interesting that there are so many rules and assumptions that automatically render numbers negative and positive and equal; however, if a problem came up for me personally where I needed to determine voltage, I would simply call an electrician. What did I learn this weekend? That science and engineering are like foreign languages to me. I am not a spacial thinker. I have trouble putting a pizza box together. I do not enjoy pondering such questions as the proof of why 0 is less than 1. I have a renewed respect for those who do. Apparently, though, I have some recessive engineering genes that I passed on to my son. Or at least my genes were smart enough that they didn’t cancel out my husband’s (who I know has solid technical genes). My son can not only put a pizza box together, he is learning to build ocean structures, navigate ships and jets and understand the science. It is baffling and incredible to me. He and his classmates are choosing to not only serve our country but to study the sciences at a time when many of the brightest minds in their generation are chasing business degrees in search of financial rewards. Supporting him, therefore, has been my biggest contribution to science.